PIEK! 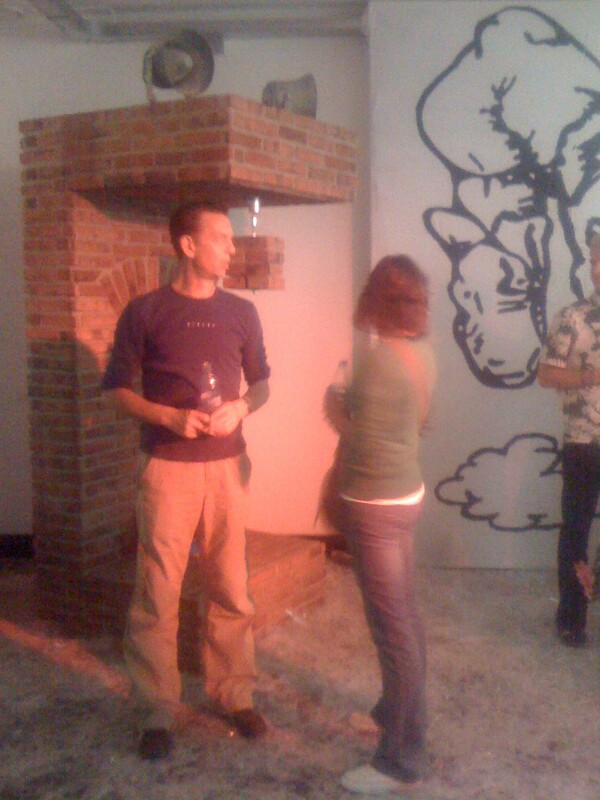 made the installation Boxing Ball for the group show Superlatief/Fighting Solves Everything. 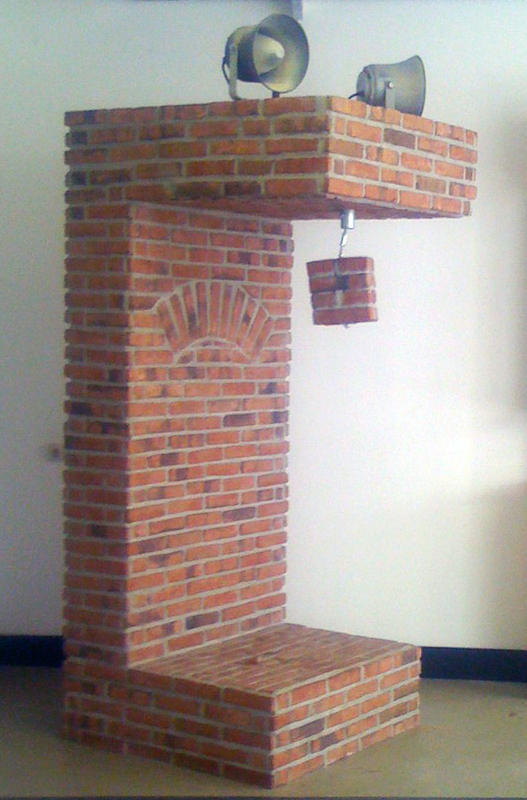 An interactive brickwork boxing/punch ball machine. 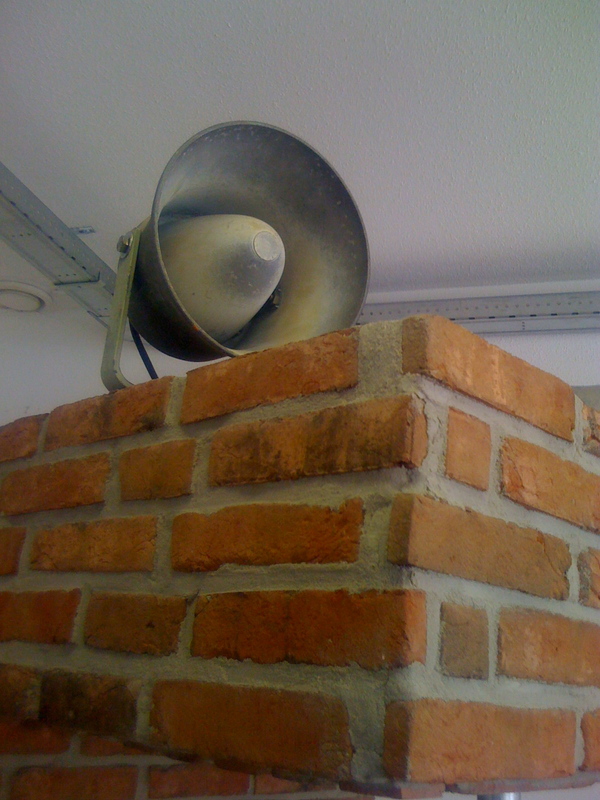 On the top of the installation are two 100V speakers. 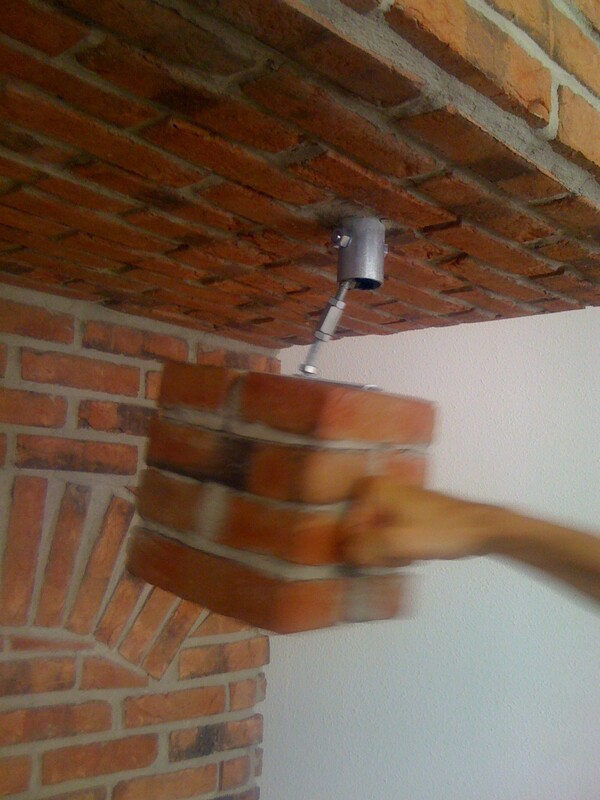 When the brick ‘ball’ is slammed, an audio loop from the intro of the famous Rocky song, Eye of The Tiger by Survivor, switches to the chorus of the song. 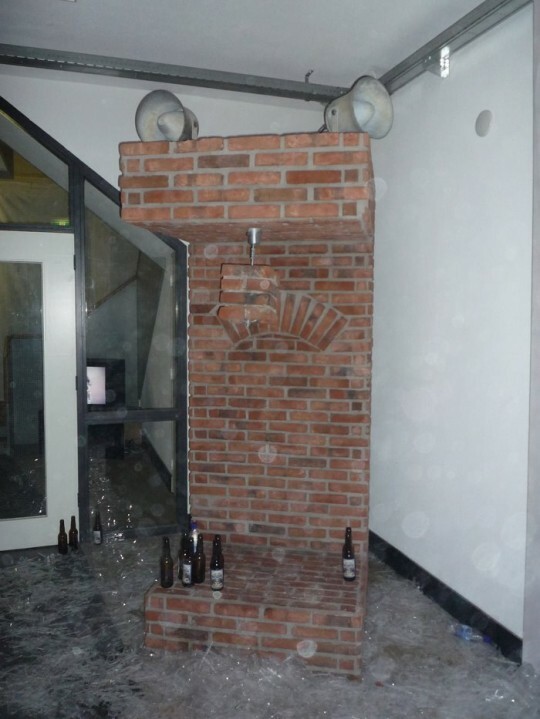 An installation for though guys ‘n girls since the ball is made out of bricks. 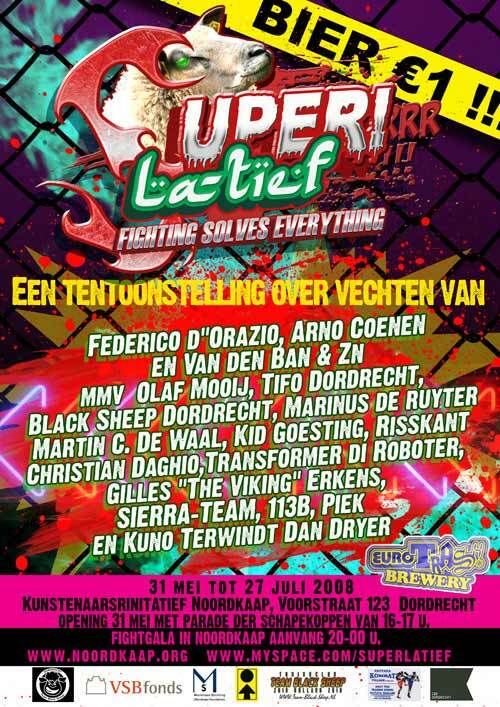 Superlatief/Fighting Solves Everything a group show with: Van den Ban & Zn, Arno Coenen, Federico d’Orazio, Christian Daghio, PIEK!, Tifoteam FC Dordrecht, Martin C. de Waal, Kuno Terwindt, Transformer di Roboter, Risskant, Kid Goesting, 113B, Olaf Mooij, Sierra-team, Dan Dryer, Gilles “The Viking” Erkens. 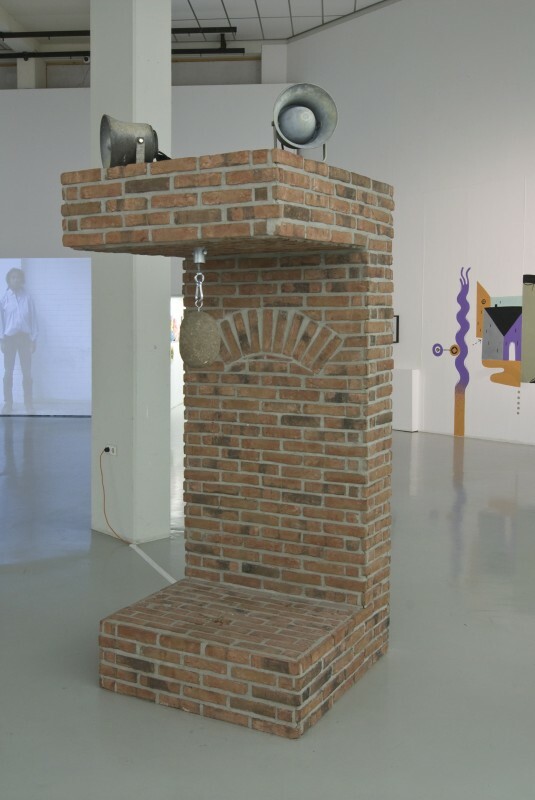 A variation on the boxing ball installation was shown in the group show Mooi ‘West (2009) in Groningen. 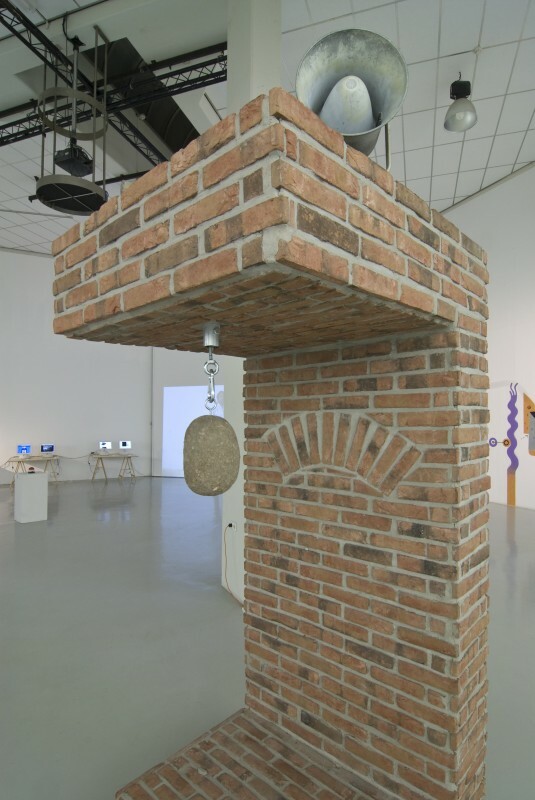 The brick boxing ball was replaced by a boulder found in the interior of the province of Groningen. The audio was changed as well, the audio loop of the Rocky song was replaced by funfair jingles. When the boulder was slammed, an imam called for prayer. 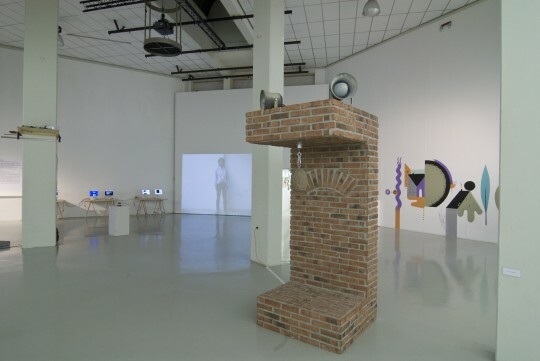 The show “Mooi ‘West” was curated and produced by George Herfkens and PIEK! 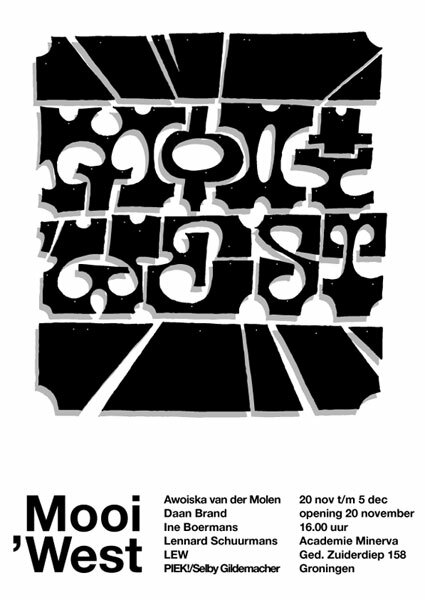 Mooi ‘West, a group show with: LEW, Ine Boermans, Daan Brand, Lennard Schuurmans, Awoiska van der Molen and PIEK!